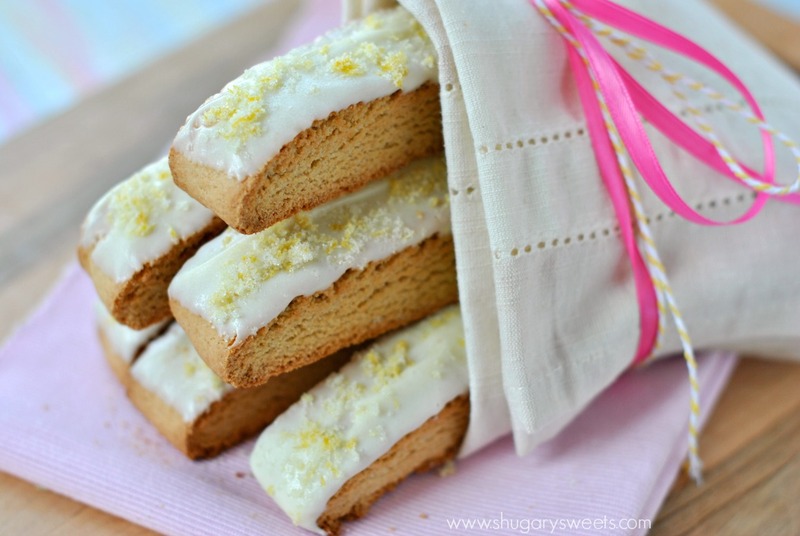 My obsession with making biscotti continues with this gorgeous Lemon Biscotti recipe! It’s so easy and so pretty, maybe you should make it for Mother’s Day? Last week my hubby and I escaped for a few hours. For dinner. We ate some of the most delicious seafood at Bonefish Grill. Have you been there? I’m totally obsessed right now with their Bang Bang Shrimp (that recipe must be recreated here soon)! I’ve already started packing my kitchen a little (remember, I’m moving sometime this summer), and I’ve packed two boxes of mugs and donated another full box of mugs. And my cabinet STILL has numerous mugs remaining. I choose my mug each morning based on my mood, haha! So after dinner, I convinced him to run over to TJ Maxx with me, to purchase a new mug. It had been almost a month (maybe two) since my last purchase. Crazy right? Haha! I have to give my readers what they want, and they clearly want me to have new mugs! I almost always get my mugs from the Maxx, and I was openly disappointed that they had NO mugs. None. It was like someone knocked over the whole shelf and the mugs were gone. So now I’m on the hunt for a new mug. Because biscotti must be eaten with a hot cup of coffee. And adorable biscotti like today’s version should be paired with an adorable mug. I’ve said this countless times before, don’t be afraid of biscotti. It’s SO easy to make, and the flavors are limitless. If you can bake a cookie, you can bake biscotti. This lemon version might just be my favorite one yet! Don’t worry, if you prefer chocolate over citrus, I’ve got another one ready for you next month!! Can you wait that long? In a large mixing bowl, beat butter and sugar for two minutes until well blended. Add in eggs, lemon extract and lemon zest. Add flour and baking powder, mixing until combined, and dough comes together. Line a large baking sheet with parchment paper or silpat. Place dough on baking sheet and press (using floured hands) into a 12inch x 4inch rectangle. Bake for 25 minutes in a 350 degree oven. Remove and cool 10 minutes. Slice in 3/4-1inch slices. Turn each slice carefully onto it's side. Return to oven and bake 8 minutes. Flip to opposite side and bake an additional 8 minutes. Remove and cool completely. In a small bowl combine lemon zest and granulated sugar. Mix with a fork until combined. Dip tops of each cooled biscotti into melted candiquik and immediately sprinkle with lemon sugar. Allow to set (about 10 minutes) and enjoy. LOVE Biscotti as much as I do? Probably not, but just in case, here are a few of MY favorites…. 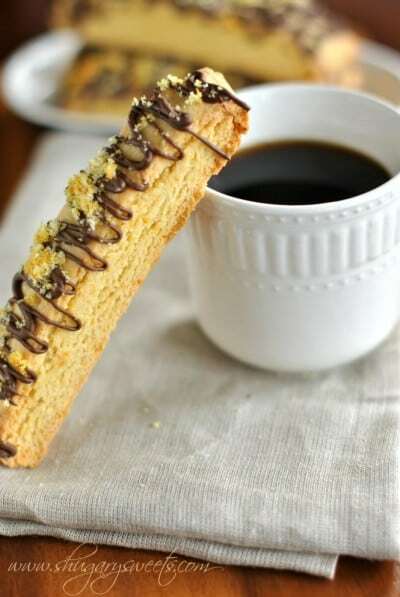 My love of coffee and biscotti unite in this Caramel Macchiato Biscotti recipe! 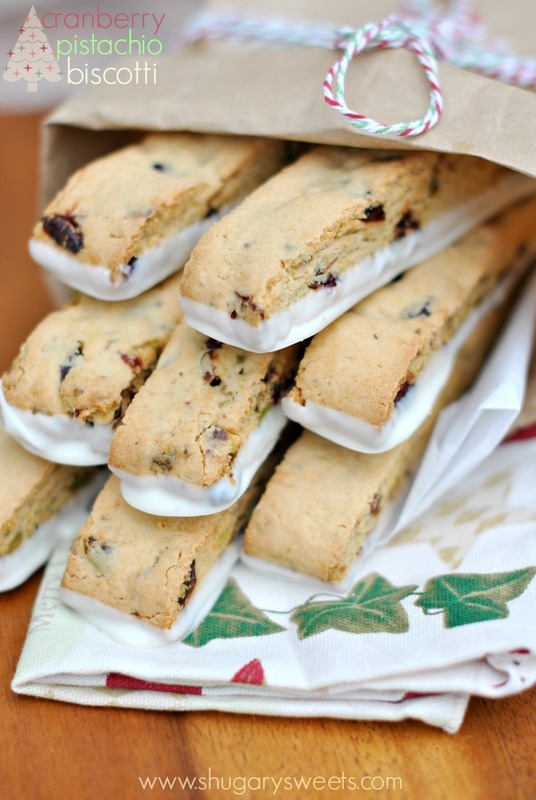 Cranberry Pistachio Biscotti isn’t just for the holidays. Enjoy it year round!! This Chocolate Orange Biscotti is so full of flavor, I think you will LOVE it! Is there a Home Goods near you?! If so, you must must must try there! I always find the most adorable kitchen stuff at Home Goods. I drag my husband along all the time. And this biscotti?! Must have it! I used to eat biscotti every day in college but it has been a while. This one needs to happen soon! I love Home Goods, but it’s not close to me. That could be very dangerous! Aimee, a biscotti obsession is a good thing 🙂 And lemon biscotti is great any time of the year in my book! Wishing I had a few of these on my plate right now, simply amazing! Thanks! I love your biscotti obsession! These look perfect! 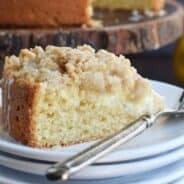 In love with this recipe, lemon zest and I have a veryyy special bond. + I’ve never made my own biscotti and that must change. Bang bang shrimp is amazing; looking forward to that copycat recipe! But first, I love this fresh spring twist on biscotti! I usually lump it into the Christmas gift category … not anymore! These sound really good, but has a lot of butter & sugar in it tho…..do you have a more healthier recipe for biscotti ? Aimee, you always have the best biscotti! 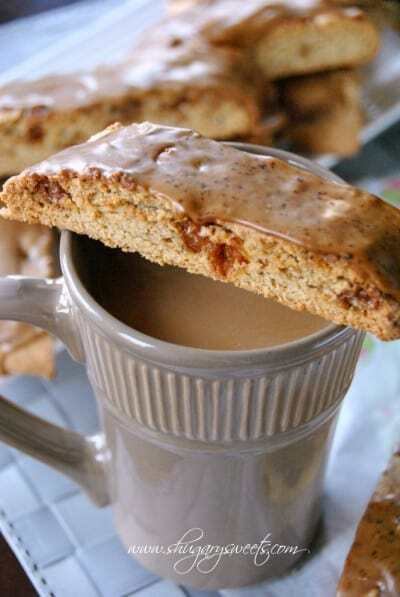 The best part about this biscotti is the topping! Aww thanks Ashley. And I agree, the topping on this one was PHENOMENAL!! I love mugs, too, and definitely have far too many. Guess I need to start looking at TJ Maxx! This biscotti sounds so fabulous- and is so pretty, too!! Oh you MUST try the bang bang shrimp. WOrth it!! 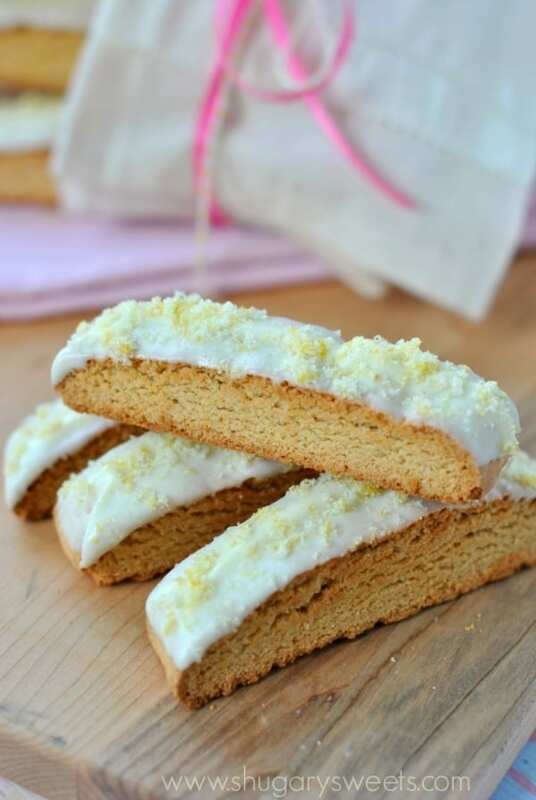 That lemon biscotti looks so fancy! I love all things lemon! One of the best things about biscotti (i think) is that it packages up so nicely as gifts. 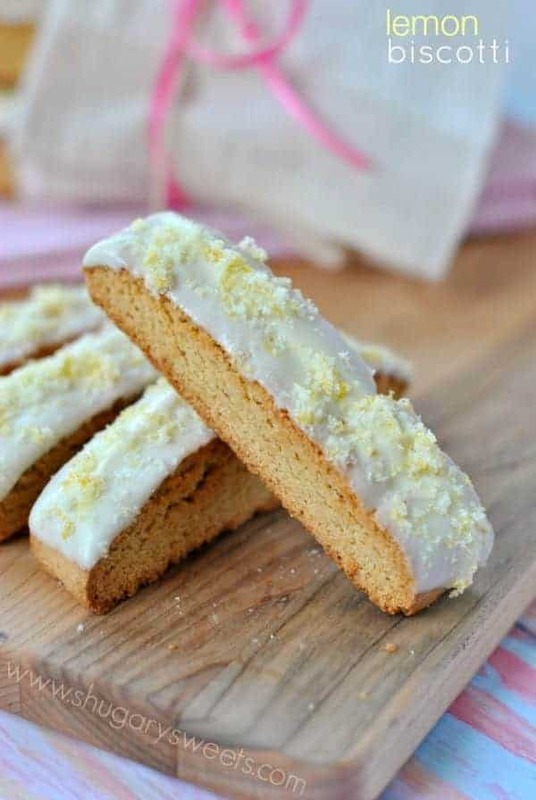 This lemon biscotti is just lovely! I agree. It’s great for shipping!! 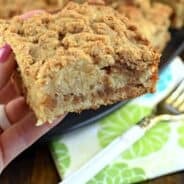 This biscotti sounds wonderful! I’ve never had a citrus flavored biscotti, and that definitely needs to change soon. Hope you have a great Mother’s Day weekend, Aimee! 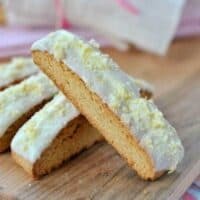 I’m not a huge fan of biscotti, but you may have won me over with this lemon version. My daughter is a huge mug lover too. So fun. 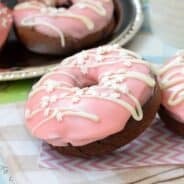 can these be frozen and thawed if needed for an event? I’ve never tried freezing biscotti. You could totally do a test and see if it works!